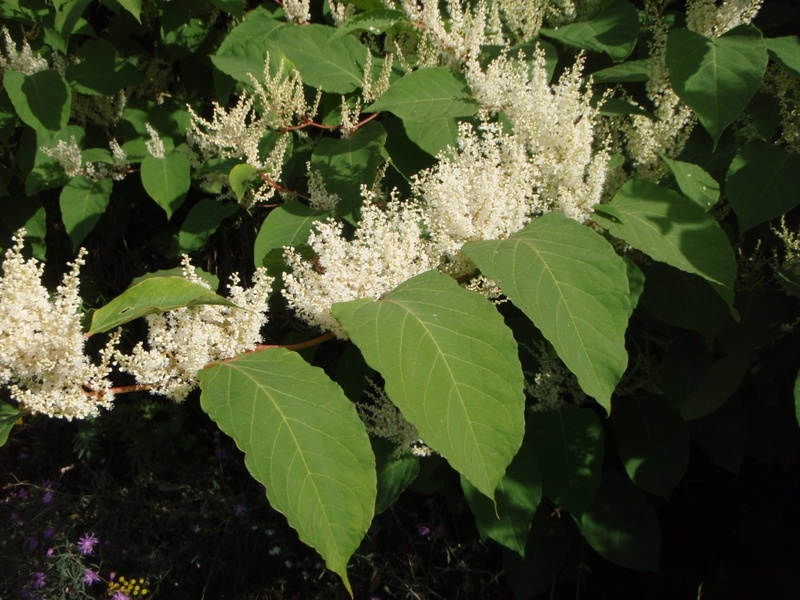 Japanese knotweed is a semi woody shrub that can reach heights of 8 to 15 feet tall. The plant resembles bamboo and is often called Japanese bamboo. It originated in Japan and made its way to the United States and Wisconsin as an ornamental plant that people planted in their yards and gardens. Many people who did this now regret it because of the plants aggressive nature. The roots of this plant can destroy roads and building foundations. This plant thrives when planted along lake, river and stream edges and often grow extremely thick restricting access to water bodies and trout streams.